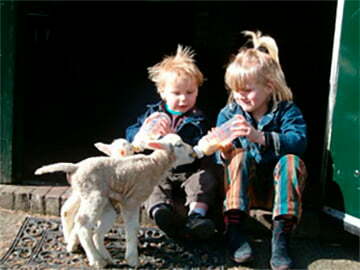 Experience a farm in operation, an unforgettable experience...! Our farm Akkerlust is situated on the edge of 'Het Groene Hart', one of the most beautiful areas of the Netherlands, close to the coast but also close to some of the nicest cities in the Netherlands such as The Hague / Scheveningen, Leiden and Katwijk by the sea. The contact page shows how to reach us for questions and bookings. Our farmhouse stalemold has been converted into 4 luxury hotel rooms since April 2003. 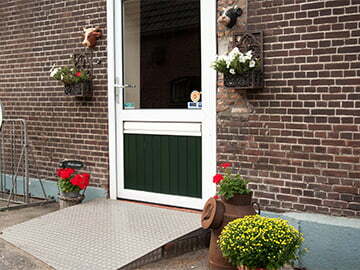 On the ground floor is less suitable apartment `de Huisstal`. Here you have a beautiful view in the young animal stable. The Oude Hollandse stal has been transformed into 2 luxury 4-persons from May 2010. 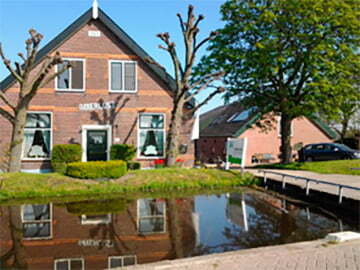 Self-catering apartments, called Hooizicht and Polderzicht, and double. Self-catering apartment, called Wolkenzicht. We are also at your disposal: children, and bachelor parties, educational children's activities, and other activities. Do you have any ideas or suggestions, please ask them and we will try. In addition, we also run the livestock farm. Our farm Akkerlust is situated on the edge of 'Het Groene Hart', one of the most beautiful areas of the Netherlands, close to the coast but also close to some of the nicest cities in the Netherlands such as The Hague / Scheveningen, Leiden and Katwijk by the sea. The contact page shows how to reach us for questions and bookings. 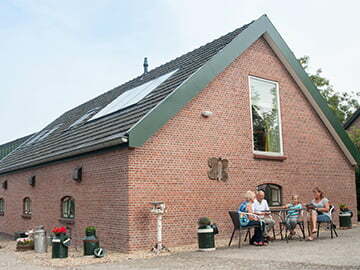 Farm Akkerlust is located in the South Holland lint village Stompwijk (municipality Leidschendam-Voorburg). 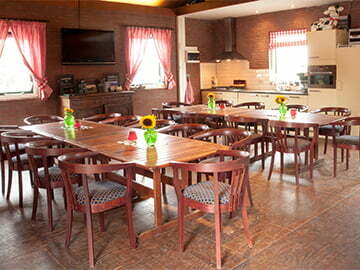 Close to the beach, in the middle of nature and close to the big cities of The Hague, Zoetermeer and Leiden. 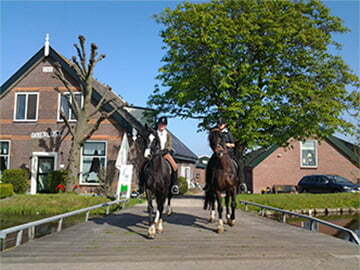 The recreation area of ​​Vlietland and the Leidschendammerhout Nature Park are 700 meters from the farmhouse. Farm Akkerlust dates back to 1765 and is still used as a livestock farm. Since January 2015, the new cabinet stall, built according to the Measured Sustainable Livestock Farming, is ready for 194 cows. This stable recovers heat, has extra large boxes for the cows, large straw cages where the cows can get their calves themselves, a manure slide, Led lighting and more energy efficient attributes. 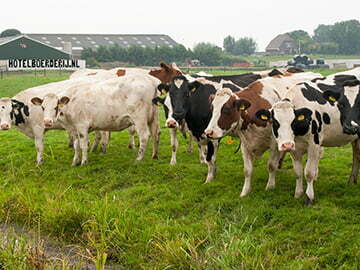 At this moment, we milk about 150 cows, from the Dutch Dutch Maas Rijn IJssel breed, and walk 2 bulls between the cows. This to fertilize our cows in the natural way! The cows are being milked in a 22-position Swing Over Milking Stall, which has come out of New Zealand. Peter + Coby are the fifth and Rick is the sixth generation on this farm again. In the past, this was a farmhouse. Opa Piet van Boheemen (third generation), has been able to buy the farm. 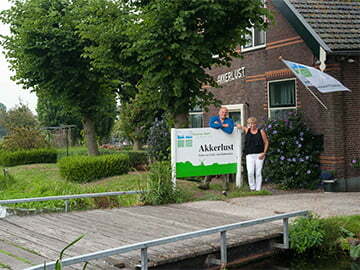 For overnight stays at Farm Akkerlust you can choose from four apartments and four hotel rooms. Experience it at the hotel farm! Your message has arrived in good order. Dear Coby and Peter, What a great stay have you offered to the fam. Matze from Voorschoten! A large family with five daughters, son-in-law and grandchildren was staying all possible.